When it's your job to teach others, your own education can never stop. We offer the professional development opportunities you need to keep up with your licensing requirements and stay on top of the latest trends in the field of education. Are you a teacher or other education professional looking for information about how to renew your license? Do you want to add certifications or professionalize your license? Then you're in the right place. We can tell you what you need to do—and how to get it done. You know that you have to accumulate a certain number of professional development credits every five years to stay licensed. But, if you're like a lot of teachers, it's tough to find the time to get those requirements in. We can help. 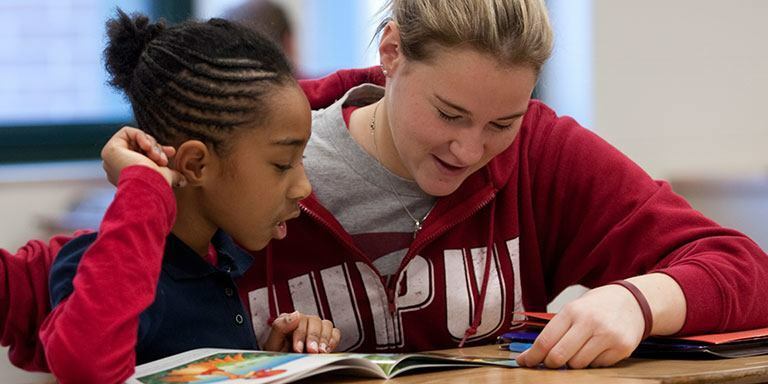 The IUPUI School of Education offers a variety of professional development programming options to working professionals. If you are currently working in another industry, but would like to become a teacher, we can help. We offer a number of program options for people seeking to transition to teaching. Your education degree gives you a host of valuable skills that can help you get a job in many different industries, ranging from human resources to leadership.